"I'm an Air Force brat. My mother coped with five kids during 25 years of nomadic military life, and I know firsthand how difficult it is when someone you love is overseas. I started envisioning a big quilt in the Road Home pattern. 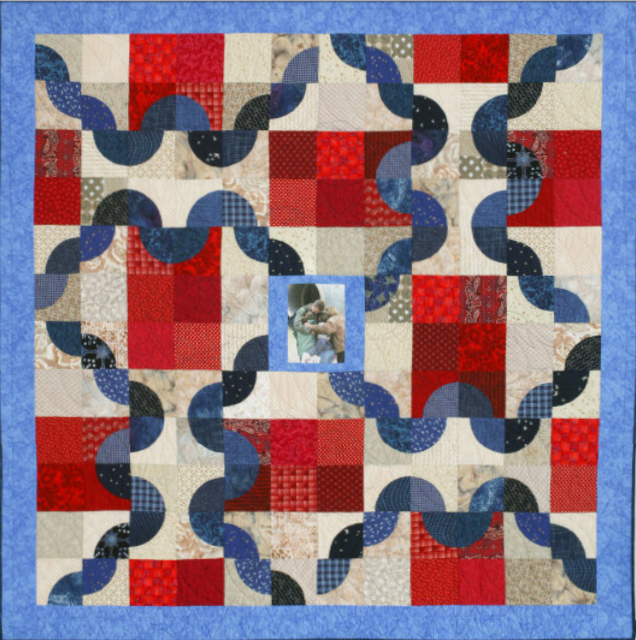 It would be a scrap quilt in many shades of red, blue, and, instead of white, shades of sand to symbolize the Middle East where many American troops are stationed. After all was said and done, it didn't seem right to sell the pattern for The Road Home. It's my gift to you."